If you’ve ever come into our office, it would be pretty easy to see how much we favor Logitech products here at Armor. We’ve got Logitech keyboards at all the development stations, as well as Logitech track balls and Logitech wireless mice. 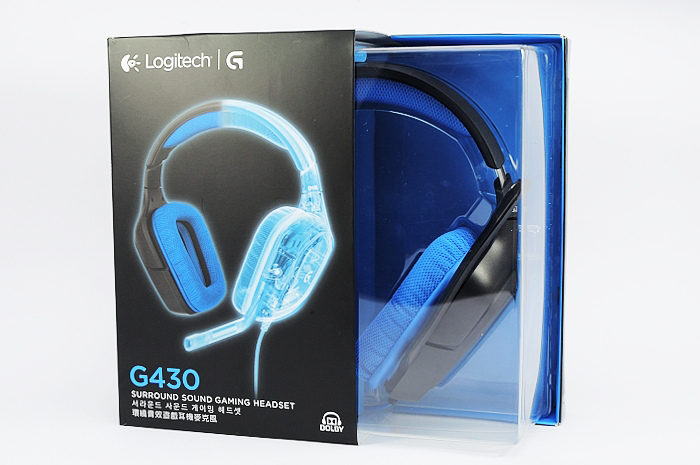 So it’s really no surprise that I am reviewing the Logitech G430 headset today. As Ryan said in his review for the Razer Kraken headset, we recently made the switch from dedicated phone sets to computer integrated soft-phones. This meant that we needed headsets that were both comfortable and functional, and for the most part the G430 has not disappointed. 1. The Price Point: At a recommended price point of about $39.99 (Wal-Mart, Best Buy, Newegg), this headset continues the Logitech tradition of quality at an affordable price. 2. The Sound Quality: I’ve been using this headset with my soft-phone for a few months now, and even with the VOIP server transcoding the audio, I’ve never had to ask a client to repeat themselves. Additionally, the channeling of the microphone audio back into the speaker completely eliminates that strange feeling that you can’t hear yourself sometimes found in other large over the ear headsets. It’s not the best audio I’ve ever heard, but for listening to Spotify in the background while I work, the audio is just fine, neatly side stepping the overly tinny tones you sometimes get in cheaper speakers and headsets. 3. The Microphone and Controls: The microphone may look like solid plastic at first glance, but the body of it is rubberized and slightly flexible, making it possible to adjust the microphone on the horizontal plane as well as the vertical that the ear-cup hinge provides by default. In addition, the microphone runs some noise canceling, helping to isolate your voice from the background noise. This is especially useful when you have other conversations happening around you, but it is not magic, so expect people on the other end to still hear things going on around you. Additionally, there are controls on the cable (they hang by my knees but more about that later), which is very convenient for a quick mute of the microphone, or adjusting the volume on the fly. 1. The Drivers: There seems to be some persisting issues with the Windows 10 version of the drivers for this headset. The headset plugs in via USB, running both the audio and the microphone to the same USB port. To accomplish this, it uses an additional Driver that seems to have some stability issues on my system. Occasionally, the driver will simply stop working. All sound input or output will stop completely until the computer is restarted. The headset does have more traditional 3.5mm jacks for both audio in and out, but the driver failure happens so rarely that I have not felt a need to change over to using them exclusively. 2. The Cord: This headset is essentially the same as the wireless G930 headset, but wired and at a lesser price point. To get around this wired existence, someone at Logitech felt that this headset needed approximately eighty feet of cable between it and the USB port, 7.65 feet if we’re not going to be hyperbolic. In certain situations I can absolutely understand why all this additional cable might be needed, but in a workstation situation where I am never more than 2-3 feet from my computer, all the additional cable does is get wrapped in on itself increasing the risk of cable twisting breaking some of the connections inside. It does come with a cable management velcro strip to help with this, but in my experience the braided cable slips out of it too easily, leaving a pool of headset cable on the floor next to the computer. 3. The Weight: It’s heavy. It isn’t too bad right at first, but there’s something about the included padding that makes it a little weighty to wear long term. I think it has more to do with how the weight is distributed over my head. It doesn’t bother me all the time, but there have been moments I’ve had to take the headset off for a while. Your results may vary. All in all, the G430 is a reasonably high quality product that I wouldn’t shy away from recommending, with a few caveats. If you can accept the slightly unstable drivers, the extremely long cable, and a headset that may not be the most comfortable thing to wear, I would definitely call this a buy.